Thread: Just arrived! Ferguson FBOX-ATV Android TV Smart Entertainment box only £79! Just arrived today! 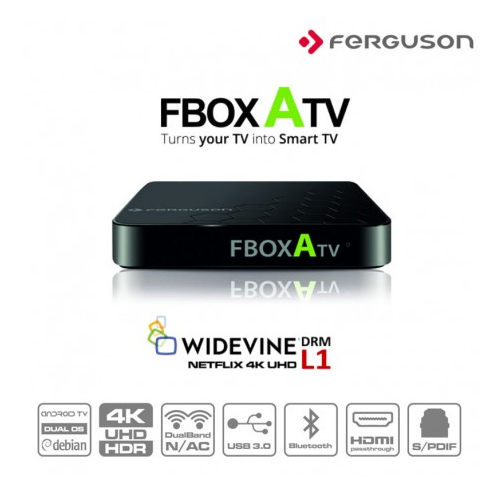 Ferguson FBOX-ATV Android TV Smart Entertainment box! and 1000's more app's available via Google Play store! Hisilicon Quad Core 2.0GHz CPU! 2GB Ram + 8GB Storage! Basic video demo of the Ferguson FBOX-ATV. Note that Netflix4K UHD content is not visible due the device being connected to a 1080p HD capture device. When used with a 4K UHD TV Netflix UHD 4K content can be viewed and accessed.